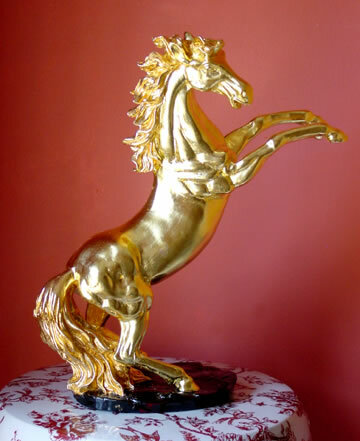 The gold leaf horse is done in a rich 23KT gold leaf, great for a desk or mantle. This will be a real show piece anywhere you put it, and great for a holiday gift. 13' x 9' wide. Hand-done; 2 weeks required for delivery. Paper mache mask from the Gold Leaf workshop. Done in rich velvets and highlighted in gold leaf. 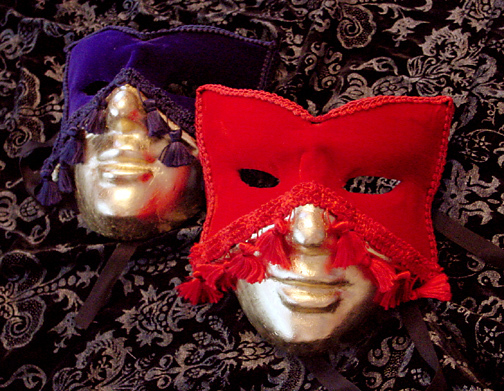 Perfect for a masquerade ball or for hanging on a wall to add richness to any room. Size: 6 x 7. 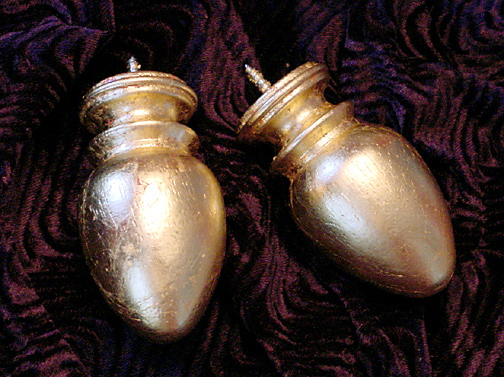 Dress up the room with these hand-gilded gold finials and add a dramatic effect to any decor. Made of wood, 4 inches long, Hand gilded in imitation Gold Leaf. 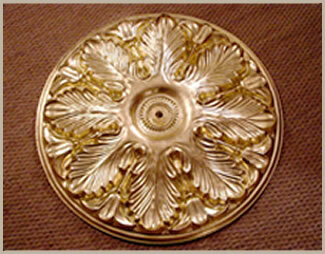 30" x 30" wide done in a rich gold leaf, perfect for entrance halls, living and dining rooms. A real classic for any home.